MAT is the management aptitude test for admission to the PG management courses, this MAT exam is conducted by AIMA. This exam is conducted four times in a year. Candidates with Graduation in any stream from any recognized university can write this exam and final year undergraduate students can also appear for this exam. Candidates can choose any one option to write the test. MAT paper based test is being conducted on first Sunday of September, December, February and may. Exam time is from 10.00 A.M to 12.30 P.M.
MAT exam mark is valid for one year. 3. Register online at website link http://apps.aima.in/matmay13/ wih credit card or debit card (ATM card) payment of rs 1200/, click here to view complete guidance, Detailed procedure is given on the official link. 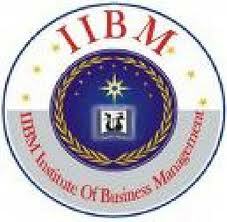 AIMA nodal centers: Institute of business management & research,bengaluru.,M S Ramaiah Management Institute..